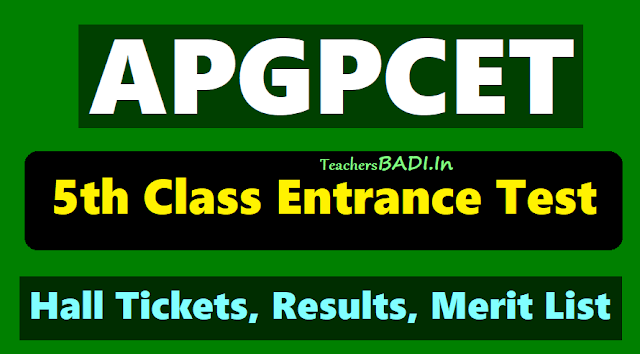 AP MJP BC Welfare 5th Class Admission Test 2018| Apply Online. #APGPCET 5th Class entrance test 2018/ AP #FIFCAT 2018 #MJPAPBCWREIS AP #BC Welfare #5thClass Admission Test 2018 Notification/ AP MJP BCWREIS V Class Entrance Test 2018/ mjpabcwreis.cgg.gov.in Online Application Form/ AP Mahatma Jyothiba Phule BC Welfare Educational Institutions Society(MJPAPBCWREIS) V Class Admissions 2018: MJPAPBCWREIS V Class Admission 2018 Notification: Andhra Pradesh Mahatma Jyothiba Phule BC Welfare Educational Institutions Society has issued MJPAPBCWREIS 5th Class Admission Notification 2018 in February. AP MJPBCWREIS 5th Class Admission Notification 2018 for admissions into 5th class (English Medium) in MJP Andhra Pradesh BC Welfare Residential Schools in the AP State for the academic year 2018-2019 and MJPBCWREIS of AP invites the online applications from the eligible IV Class students for admission into 5th class in its MJPBCWREIS Schools. 1. Candidates should have Age between 9-11 years as on 01.09.2018 are eligible and 2 years exemption for SC,ST candidates. i.e Age between 9-13 years as on 01.09.2018 are eligible. The Students should be a bonafide of Class IV during the academic year 2016-17 in any Government School or any recognized school of Andhra Pradesh. 1. The candidates should have studied continuously in the respective district for the two academic years in a Government school or in a school recognized by the Government of A.P. 2. During this academic year the candidate must be a bonafide student of Class IV in a recognized school. The Parental income should not exceed Rs.1,00,000/- per annum. 2. Admission will be given as per merit obtained in Entrance Test APGPCET /FIFCAT-2018 and the preference of institution given by the student in online application. Selections of the process through Entrance test. Admissions through counselling for selected candidates. Before filling the application, read the prospectus carefully. Candidates can submit application form online through website https://apgpcet.apcfss.in/index1.jsp. There is no registration fee for submission of online application. Toll Free Number: OR Before filling the application through online with the required details and supporting certificates, it is essential that candidates should read the information already uploaded in the website www.mjpapbcwreis.cgg.gov.in. Candidates can submit application form online through website www.apmjpapbswreis.cgg.gov.in or visiting any Meeseva Kendra. There is no registration fee for submission of online application. The candidates can apply through online to any MJPBCWR School of the district for which he / she belongs.